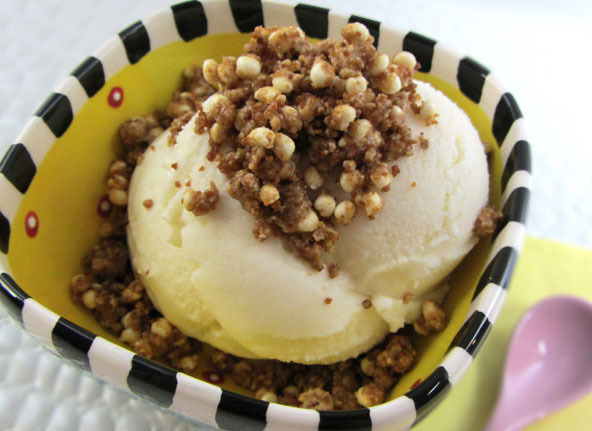 These crumbles are a great topping on ice cream, yogurt, oatmeal or just about any dessert. In a medium sized mixing bowl, stir the peanut butter and coconut butter together with a spoon. 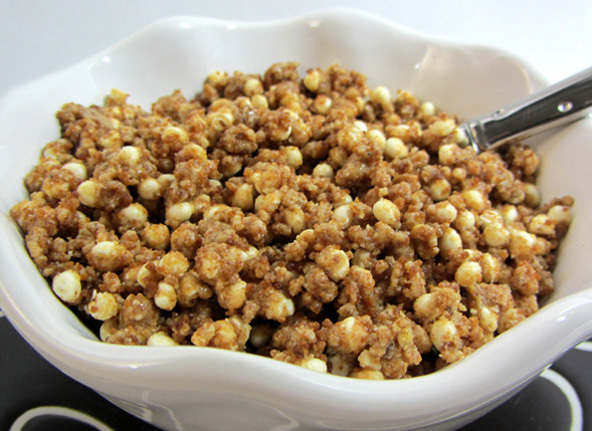 Stir in the puffed whole grain cereal of choice. Stir in the almond flour until well blended. Once the sugar is added, it should start separating into little crumbles. If not add a little more dry ingredients. If it is too wet add in a little more nut butter or coconut butter until it's perfect. You can refrigerate or freeze the leftovers in a zip-lock baggie for the next time.